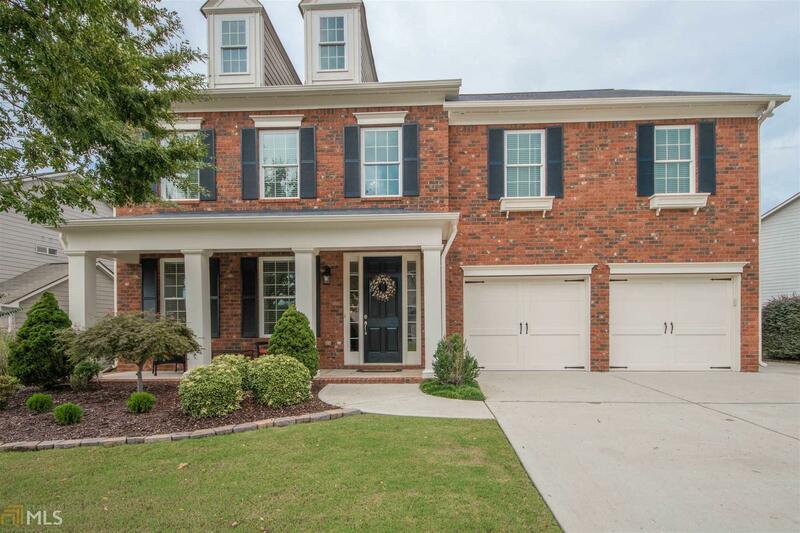 Incredible Move-In Ready Home in the Heart of Peachtree City&apos;s Centennial Neighborhood... a warm welcome from the curb with a brick front & rocking chair front porch. Enter into gleaming hardwoods thruout the main, including new treads up the double staircase plus details of crown molding & wainscoting. Beautifully updated kitchen w/over-sized quartz counter island, glass tile back splash, new sink, under cabinet lighting & Bosch SS appliances. Opens to eat in area & fabulous great rm w/built ins & cozy fireplace. New carpet in ofc & upstairs...4 bdrms, 3 full baths + bonus rm & laundry on second level. Fenced in backyard offers privacy to enjoy new covered brick paver patio + extended pad for grilling. 3 car garage provides plenty of parking &/or storage. Directions: From Highway 54, Turn Onto McDuff Parkway. Turn Right Onto Franklin Ridge Drive. Turn Right Onto Richmond Circle. Home Will Be On The Left.